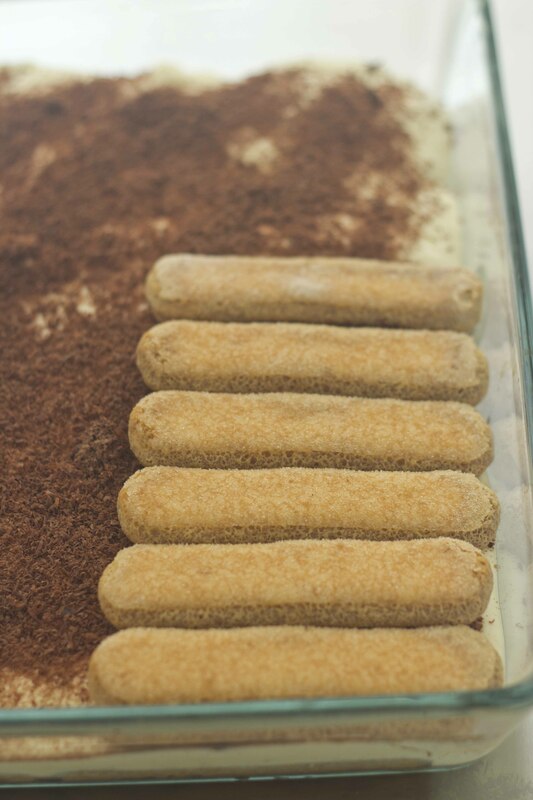 Tiramisù literally translated means “pick me up” in Italian. 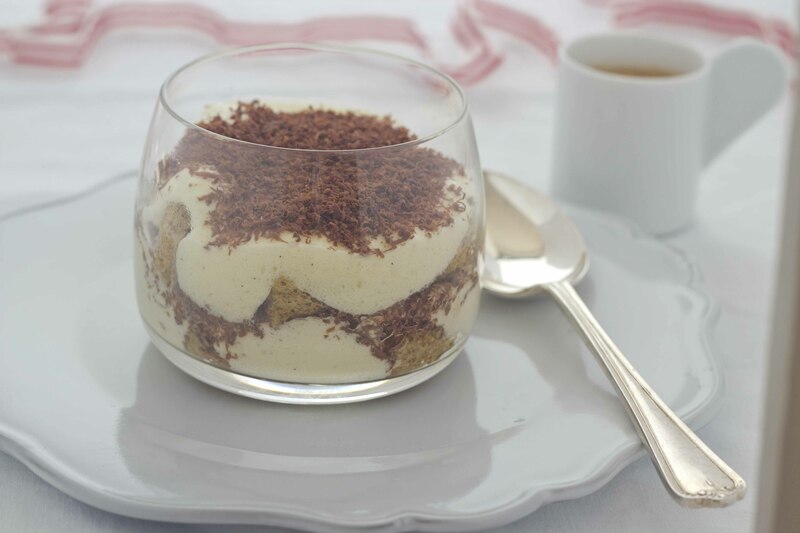 Tiramisù is a relatively new dessert in Italy, having been created in the 1960’s by Roberto Linguanotto, a pastry chef in Treviso. 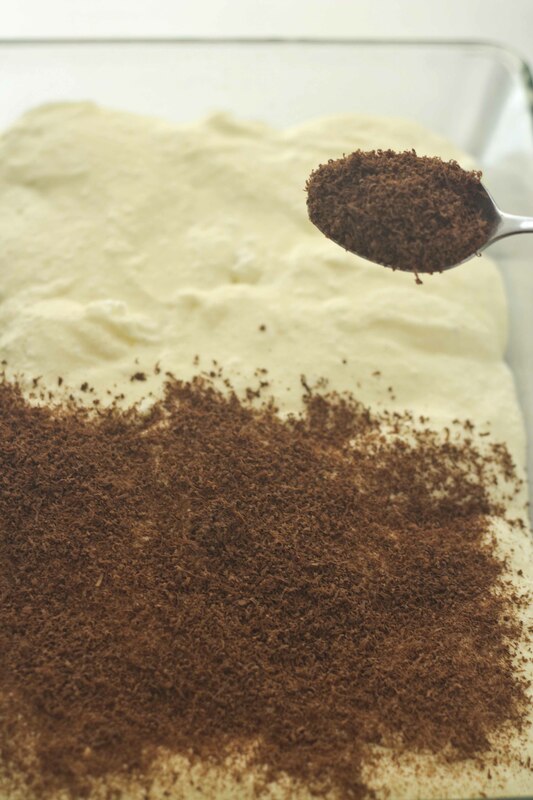 It is an extremely popular dessert and features on most Italian restaurant menus in Italy and abroad. It is quite easy to make and requires no cooking so is a nice dessert to make when the weather is hot. Place the coffee in a flattish bowl with 30 grams of caster sugar and the rum. Stir to mix. Dip half of the biscuits one at a time. 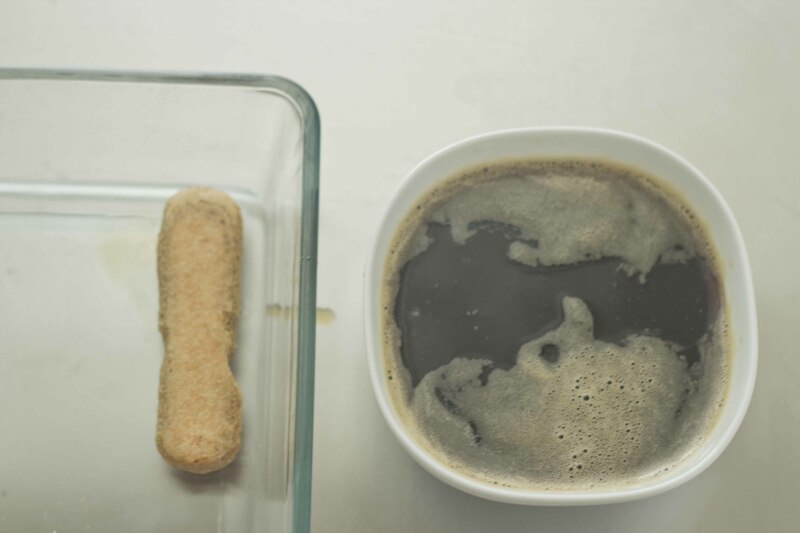 Once the biscuit has started to absorb the coffee, remove. 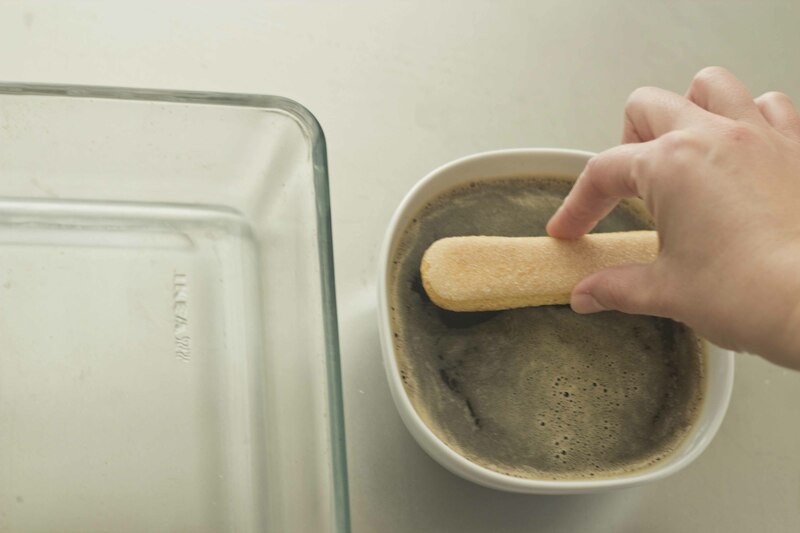 Use the soaked biscuits to line the bottom of the serving bowl (a glass container is best). 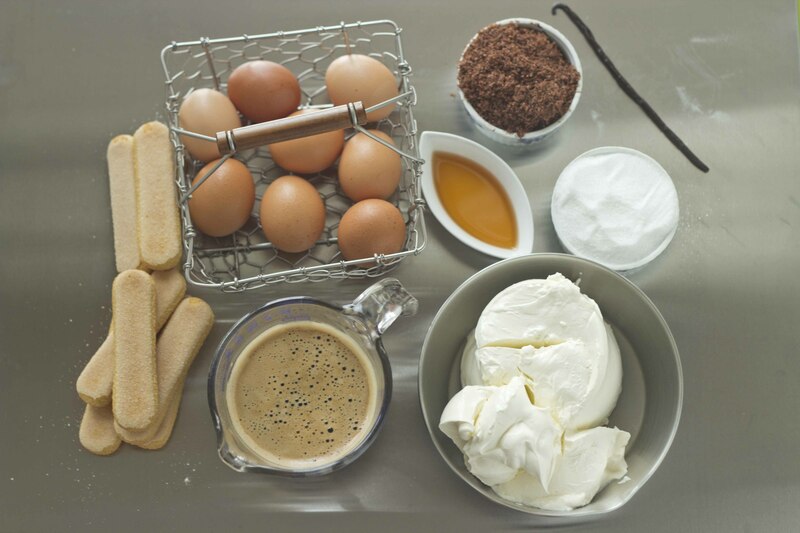 For a step-by-step illustrated guide on how to whip egg whites see here. 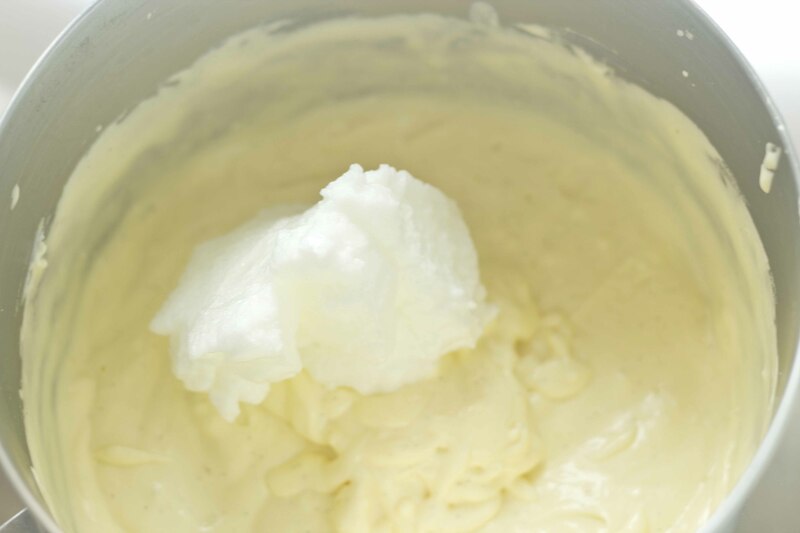 In a clean bowl (if unsure there is any trace of fat, then wipe with a sliced of lemon and then rub dry with a cloth), using a food processor, electric mixer, or by hand with a whisk, whip the 8 egg whites until when you put a spoon in and pull it out quickly, the egg white forms a peak which then doesn’t sink back down into the mixture. 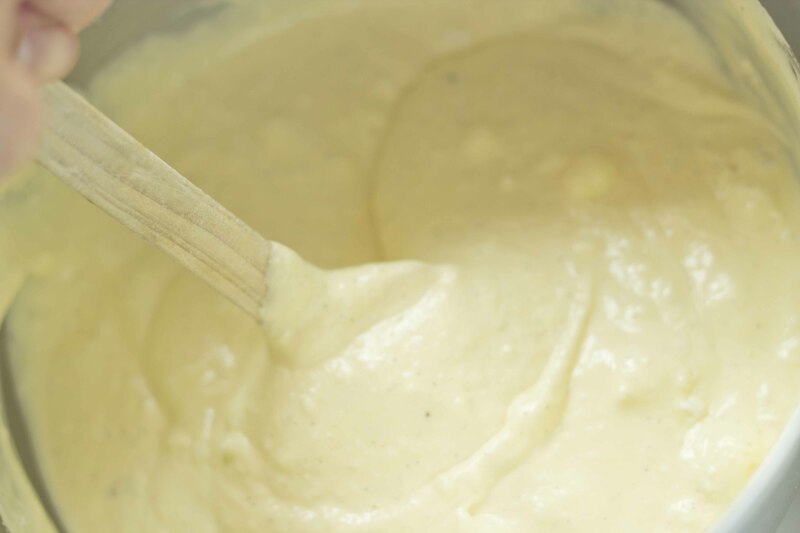 If you are using an electric mixer, mix the egg whites on medium speed, not high. 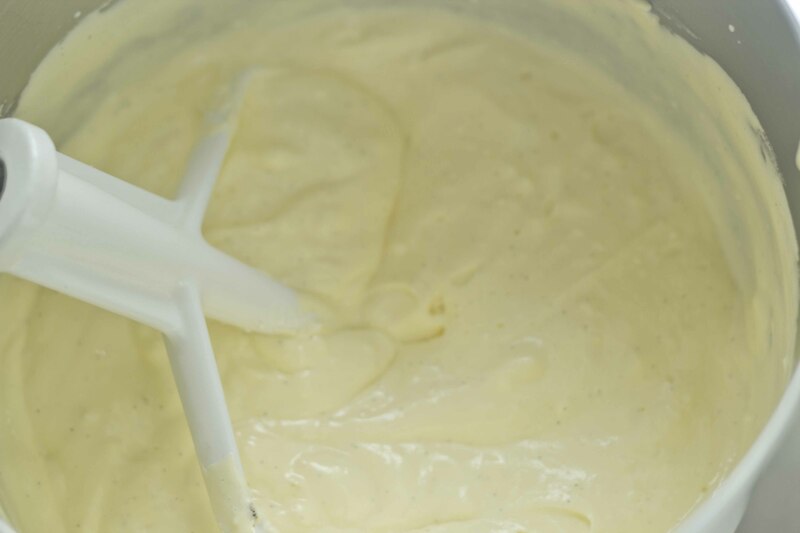 In a clean bowl using a food processor, electric mixer, or by hand with a whisk, whip the 8 egg yolks with 125 grams caster sugar until light coloured and fluffy. This will take about 5 minutes in a mixer. Add the mascarpone to this. 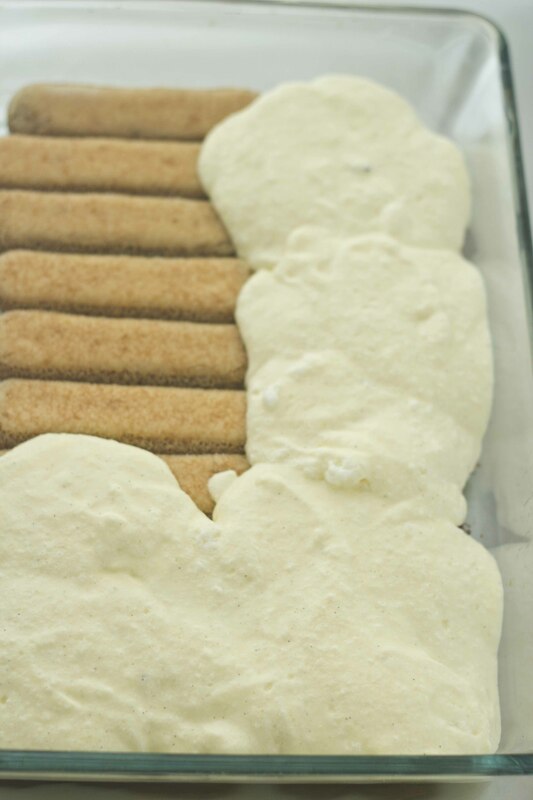 Cut open lengthwise the vanilla bean and scrape out the seeds with a knife and put into the egg mascarpone mixture. For a step-by step illustrated guide on how to do this see here. 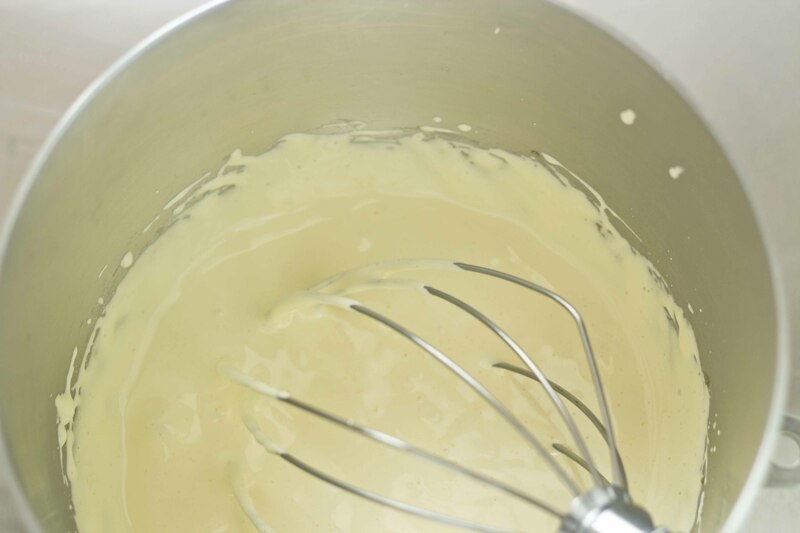 When well incorporated, remove the whisk and get a spatula and take a spoonful of the egg white. Use the spatula to well incorporate the spoonful of egg white. 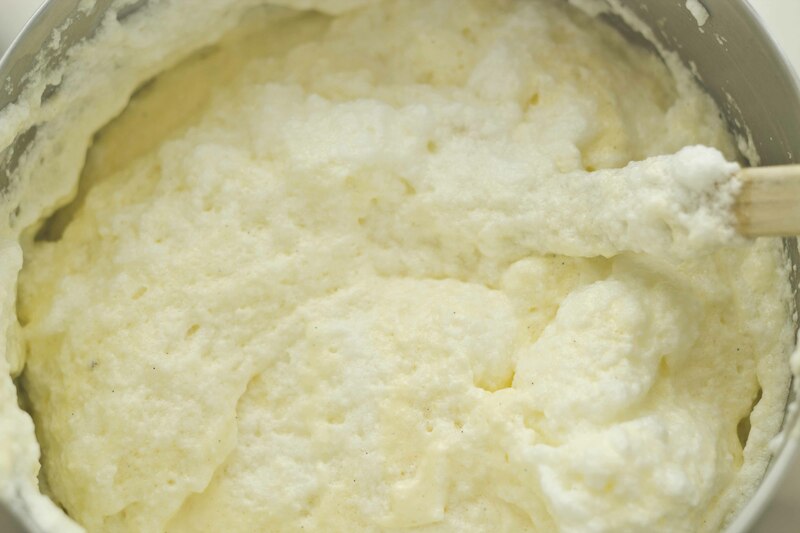 Adding a bit of egg white first will help aerate the mixture so that the mixture won’t be as difficult to combine when the rest of the egg whites are added. Adding all the egg whites at one time also deflates the cream and makes it less fluffy. Fold the egg whites from the bottom of the bowl to ensure that no liquid has collected on the bottom. If it has, do not worry, just whip it again until it is the same consistency as before and carry on. Add the rest of the egg whites, using a folding technique to incorporate them. Do not stir. Smooth half of the cream mixture over the soaked cookies. Sprinkle half of the chocolate over top evenly. 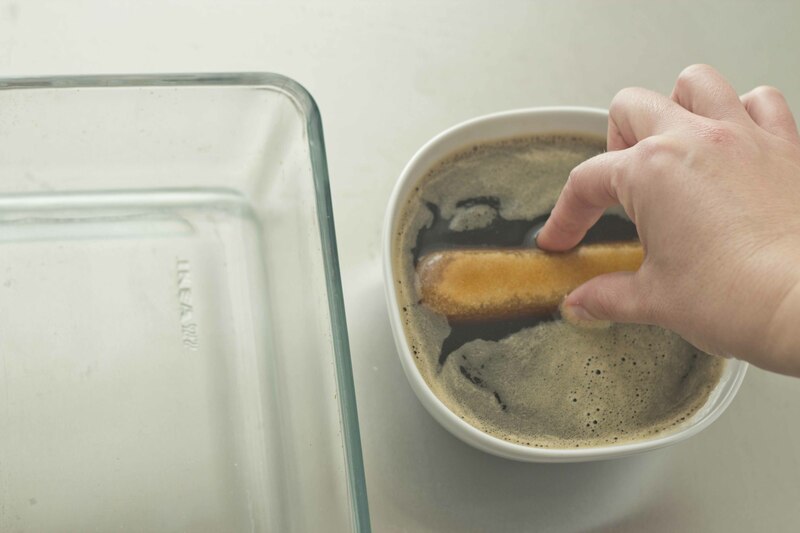 Dip the remaining 15 cookies into the coffee and place on top of the chocolate layer. Refrigerate 4 to 24 hours and serve. Because this has raw egg in it, you must keep it in the refrigerator at all times and only remove just before eating. Do not serve this to young children or pregnant women.